As Labour's Leisure, Arts and Communities spokesperson on Dundee City Council I am shocked at a threat to the Dundee Flower and Food Festival. I attended the festival today and was very impressed with the show. I recognise that these are difficult economic times but my Labour colleagues and I will do all we can to work with other councillors to ensure the continuation of this popular event. I hope that the weather stays sunny over the weekend and that the crowds turn up to support the event. The Festival is a great day out and I would urge people to pay a visit on Saturday or Sunday - there is something for everyone. For details of the festival this year click here. My friend and colleague Marlyn Glen has announced her intention to stand down as an MSP at the next Scottish election in May 2011. I am sorry that Marlyn will not be standing but I do wish her all the very best for the future. 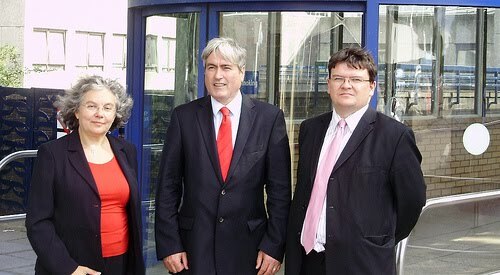 Marlyn has been an effective voice for Labour in Dundee and in the Scottish Parliament since 2003. You can read Marlyn's statement here, which also includes comments from Iain Gray MSP and from myself as the local Constituency Labour Party secretary. The STUC has set up a very interesting campaign called There is a Better Way. This campaign provides an alternative vision of how to deal with the difficult economic times we face. I am clear that the poorest should not suffer disproportionately in these economic times. It is important that public service workers and also the people who rely upon public services are not punished for the failings for the bankers. Take a look at the website which sets out the case for an alternative. This evening I attended a meeting of the Community Spirit Action Group. This group covers the north of the ward in the areas around Pentland, Ancrum, Tullideph and Benvie Road areas. There was an excellent discussion about how to deal with anti-social behaviour. The key point is not to put up with anti-social behaviour. If you have any concerns phone 0800 169 3845, or visit the anti-social behaviour website. There was a report back on the petition which the group sponsored on bus provision in the area. The petition gained 650 signatures and after a meeting with National Express Dundee the group has been told that changes will be made to the bus service which will hopefully improve it for local residents. 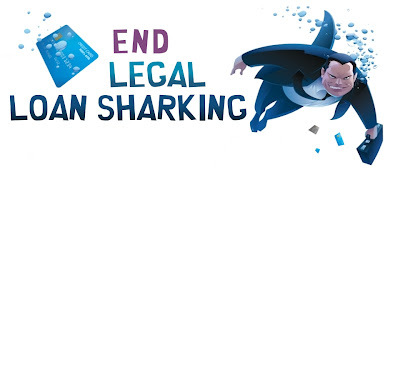 I support the campaign to end legal loan sharks. There are company's acting legally which can charge interest rates up to 60,000% APR. On Tuesday evening I was at a very well-attended meeting of Dundee Disability Sports Council. This was a very good meeting, the Discovery Games takes place in September and I hope that they are successful. There are also on-going efforts to raise money for a new mini-bus, including a fashion show on Friday 12th November at 7pm in Liquid Nightclub. This evening I attended a meeting of the board of Dundee Leisure. This meeting discussed some very interesting issues about developing the provision of Dundee Leisure. If you are going to the Dundee Flower and Food Festival this weekend Dundee Leisure will have a stall. Please visit the stall and find out about what Dundee Leisure has to offer and hear about the Leisure - Active scheme. I am concerned the Con-Lib Dem government has chosen to opt out of the EU directive on trafficking. This directive would have set common standards for the law on this issue across the European Union, this would have made it easier to deal with this international trade. I am concerned that the Con-Lib Dem government are putting their ideological views on Europe ahead of dealing effectively with this issue. It is important to deal with this issue and to protect vulnerable people who are exploited through trafficking. Please take the time to contact the Home Secretary Theresa May and ask her to take action. A couple of weeks ago I was very concerned to read a report in The Scotsman which said that Dundee's children had the worst risk of being injured on the city's roads of children in any Scottish local authority area. This was contained in a report written by a company called Road Safety Analysis. After seeing this report I contacted the City Council's Transportation section and asked for their views on this. I am pleased to say (although there is no room for complacency) that the council believes that it has made significant progress over the years in this regard and that between 1994-98 and 2008 there has been a 73% reduction in the number of children killed or seriously injured on the city's roads. One child injured or killed is one too many but I am glad to see that the trend is going in the right direction. A report will be presented to the October meeting of the City Development Committee to update on progress over the last year I will be studying that report in detail. You can read the City Council report for last year here.